Georgia A. (Alt) Mahoney, 93, died Tuesday, Jan 29, 2019, at the Jerome Home. She was the widow of Paul C. Mahoney, who passed away in 1996. Mrs. Mahoney was a member of St. Joseph’s Church, a member of the Rosary Guild and the Mother’s Club. She was also a member of the New Britain Council of Catholic Women and the Circle 12 Chapter of the Daughters of Isabella. Georgia was born in Ohio, the youngest of 10 children of the late John and Clara (Boblick) Alt, and came to Connecticut in 1951. She is survived by her children, Mark Mahoney and his wife, Kathryn, Kathleen Bellmar and her husband, Gary, Peter Mahoney, and his wife, Marie, Mary Mahoney, Margaret Catenzaro, and her husband, Jim. She is also survived by 11 grandchildren, Ben Mahoney, James Mahoney, and his wife, Sarah, and William Mahoney and his wife, Jayme, Brendan, Adam, Brett and Mara Bellmar, Andrew and Ethan Giorgetti, and Patrick and Maresa Catenzaro. She is also survived by a great-granddaughter, Delilah Labbie; two great-grandsons, Jackson and Brooks Mahoney; her goddaughter Julie Goshe of Bucyrus, Ohio; and numerous nieces and nephews. She was predeceased by her seven sisters and two brothers. Funeral services will be held Saturday, Feb. 2, 2019, 9 a.m. from the Farrell Funeral Home, 110 Franklin Square, New Britain, with a Mass of Christian Burial at 10 a.m. at the Divine Providence Parish (St. Joseph’s Church), 195 South Main St., New Britain. Burial will follow in St. Mary Cemetery, New Britain. 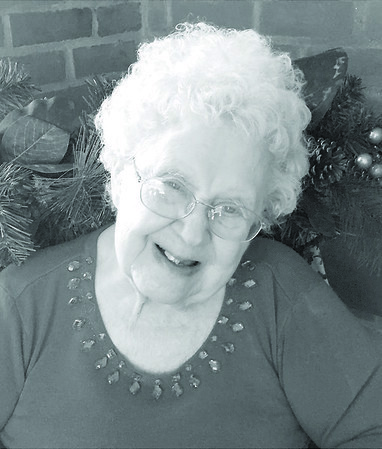 Visitation will be Friday, from 4 to 7 p.m. at the funeral home. In lieu of flowers, donations may be made to Food For the Poor, Inc., 6401 Lyons Road, Coconut Creek, FL 33073, or to the Covenant House, 460 West 41st St., New York, NY 10036. Georgia’s family would like to extend their heartfelt gratitude to her extended family of caregivers at the Jerome Home and Arbor Rose for their tireless, compassionate, and loving care over the past few years. To send a condolence, please visit www.FarrellFuneralHome.com . Posted in New Britain Herald, on Tuesday, 29 January 2019 20:06. Updated: Tuesday, 29 January 2019 20:08.